Where Summer Memories Are Made! We welcome only 250 families per year to our club to ensure ample access to the clubs amenities. 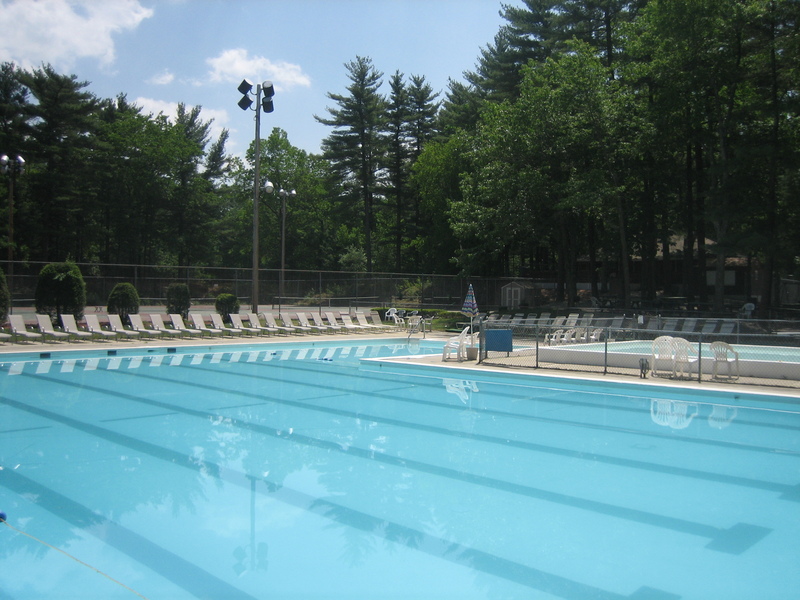 All members enjoy access to our large swimming pool with dive well, kiddie pool for children under 6, 4 illuminated tennis courts, a centrally located shaded picnic area, grills, a clubhouse for club and private functions, and ample lawn chairs for lounging around the pool. Our pool is always staffed with certified life guards to help ensure your safety and the safety of your children. During the course of the season we offer activities in the areas of swim, diving, and tennis. We also offer occasional family and adult activities for our members to participate in. Russell Mill is a member-owned and operated non-profit club. 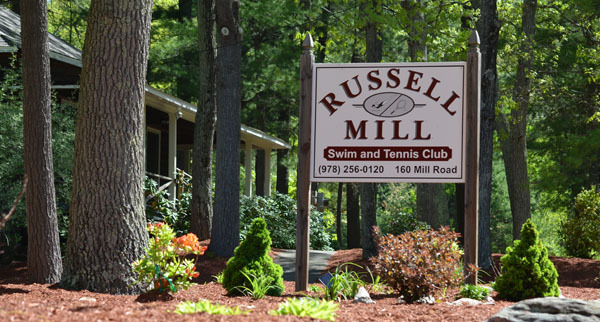 Located in Chelmsford, MA, Russell Mill has been serving families in the area since 1947, when it was known as the Chelmsford Rod and Gun Club. Our staff is trained in CPR and first aid and is always available to help with any needs a member may have. The staff works hard to maintain a well run and clean facility. The club is run by the Board of Directors, who are all voted in by the membership. We encourage all of our members to be active in the operations of the club because after all, it is your club! Our Board of Directors are voted in by the general membership. The Board of Directors consist of at least 5, but no more than 11 members. The board meets, in general, once a month to discuss club operations. They are also responsible for organizing 2 meetings for the general membership, one in the spring and one in the fall. All day to day operations are run by the General Manager and the management team. We have four illuminated tennis courts available to all members. Our Members have access to a shaded picnic area with grills, basketball court, wall ball area, large playstructure and sandbox and our clubhouse complete with air hockey and foosball table.